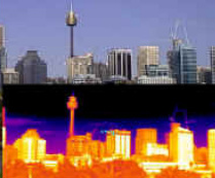 We have provided thermal scanning of switchboards in Sydney and NSW for 14 years. Infrascan Thermal Imaging commenced trading in 1997. We use Thermal Imaging cameras to scan your electrical switchboards for Electrical faults. Infrascan Thermal Imaging has 3 Thermal Imaging cameras. Included in our Thermal imaging services are a copy of the thermal imaging report (or thermography report) by PDF or hard copy. Thank you very much, your prompt, no fuss attention to our 6 monthly scans is an FM's delight.